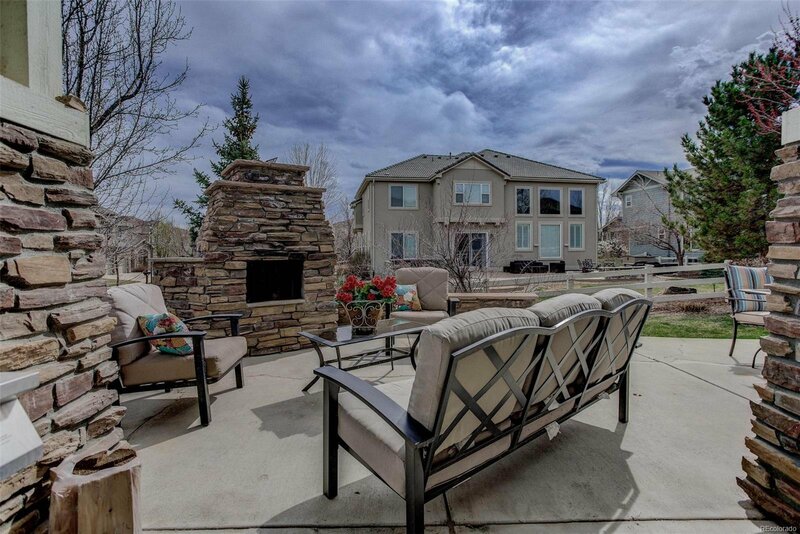 Open Sat 4/20 1-4. 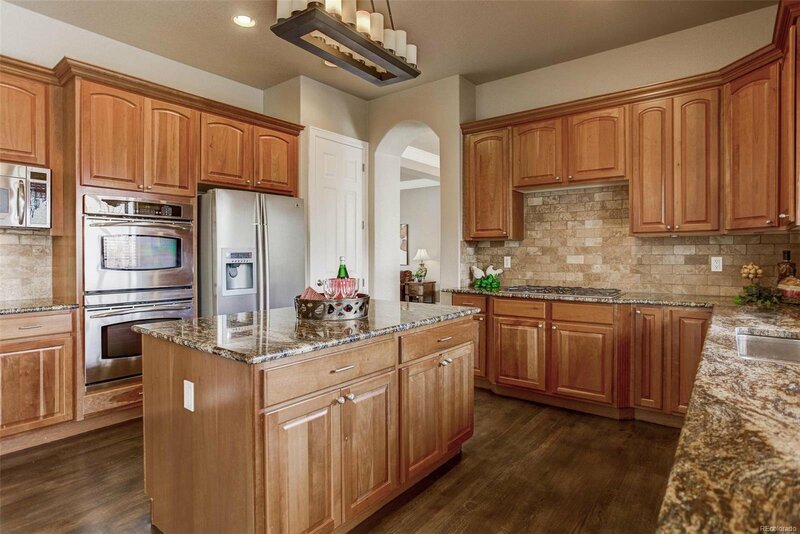 Toll Brothers beauty in exclusive “Enclave” surrounded by Broadlands Golf Course. 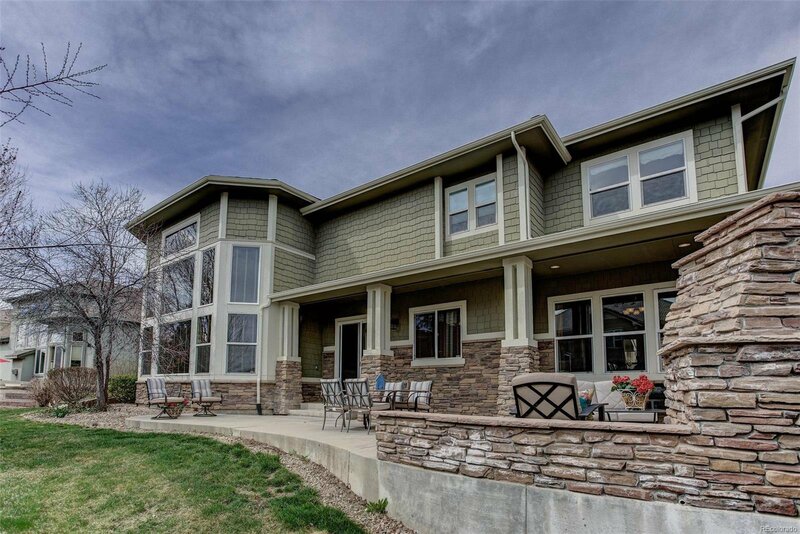 Custom architecture defines this home. 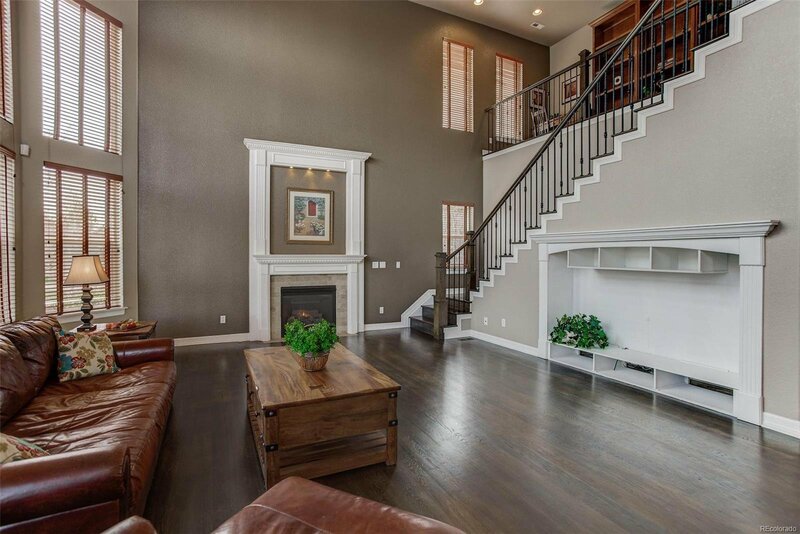 Gorgeous dark wood floors lead to stunning grand staircase. 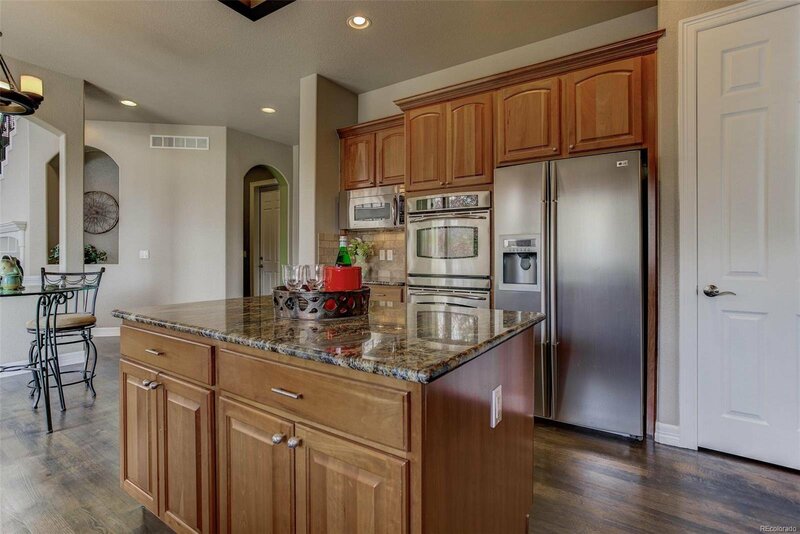 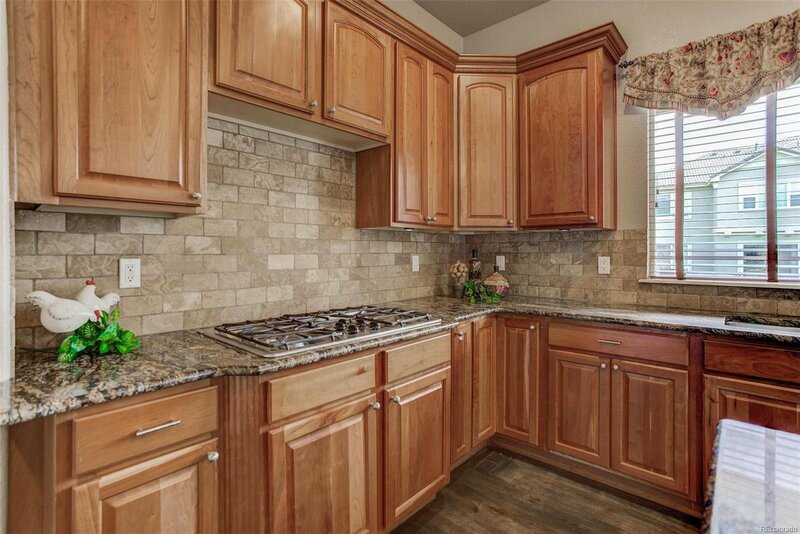 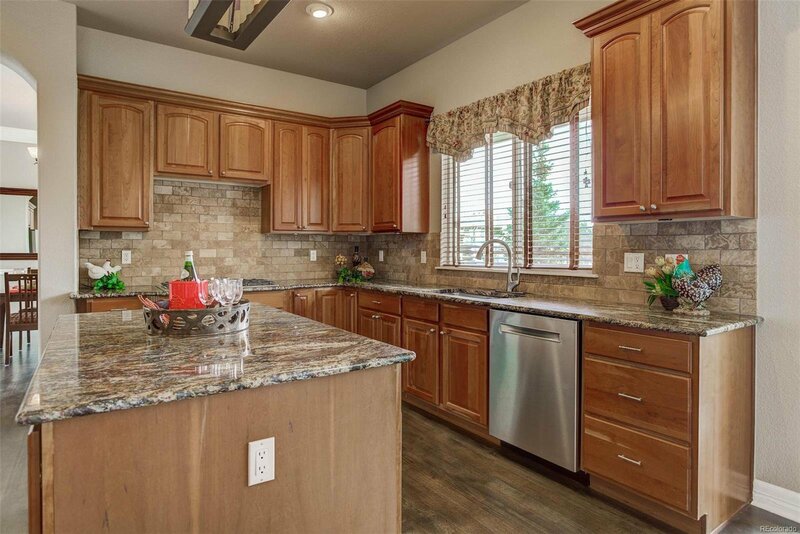 Cook’s kitchen w/granite, high end cabinets, SS appliances & eat-in nook. 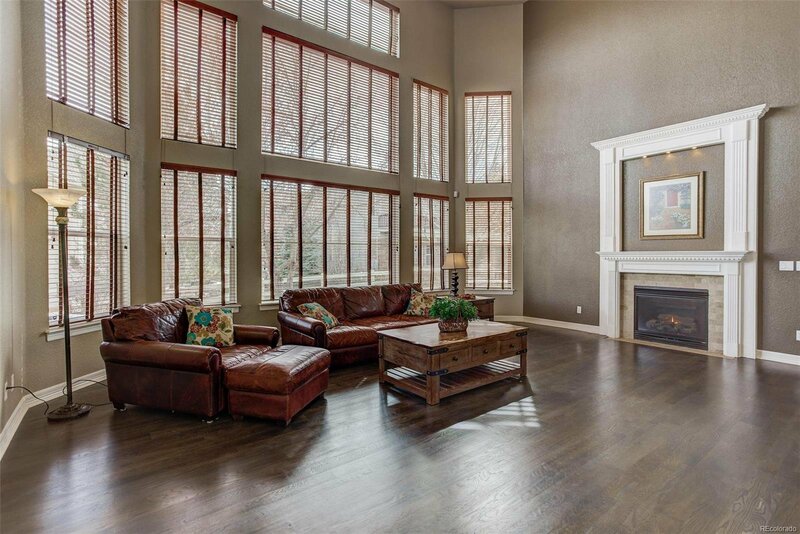 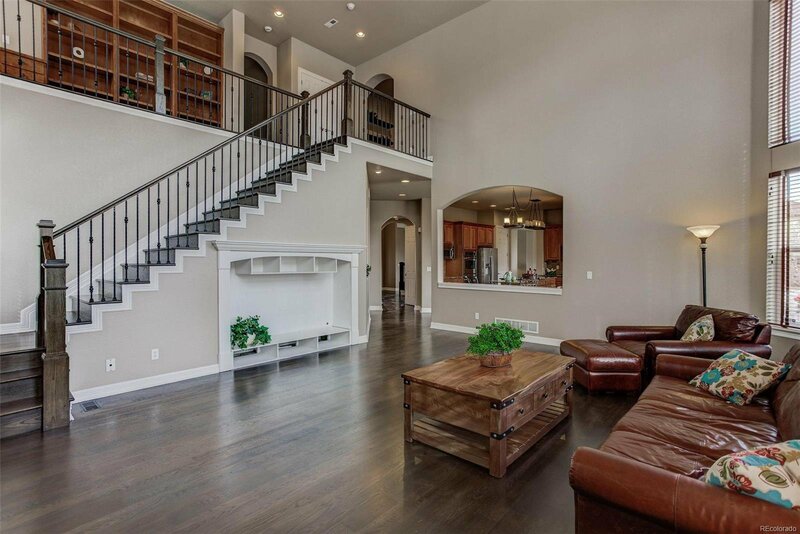 Stunning 2 story family room with a wall of windows. 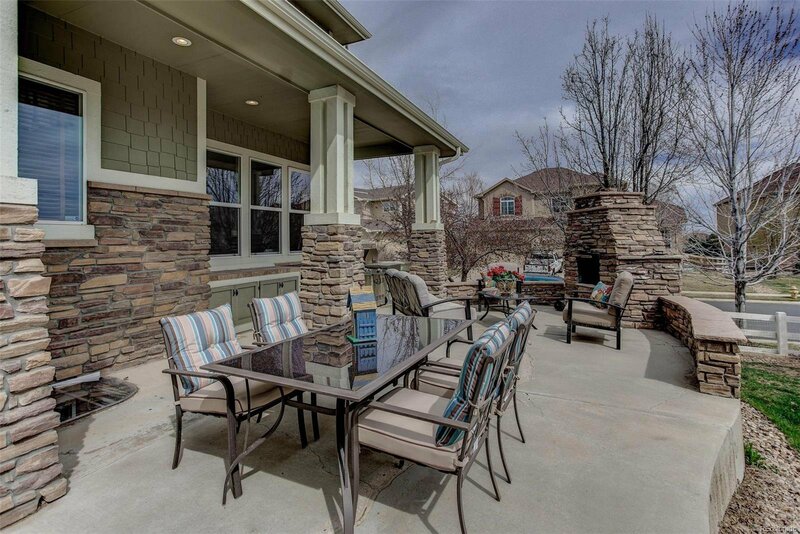 Relax on your covered patio by the stone fireplace. 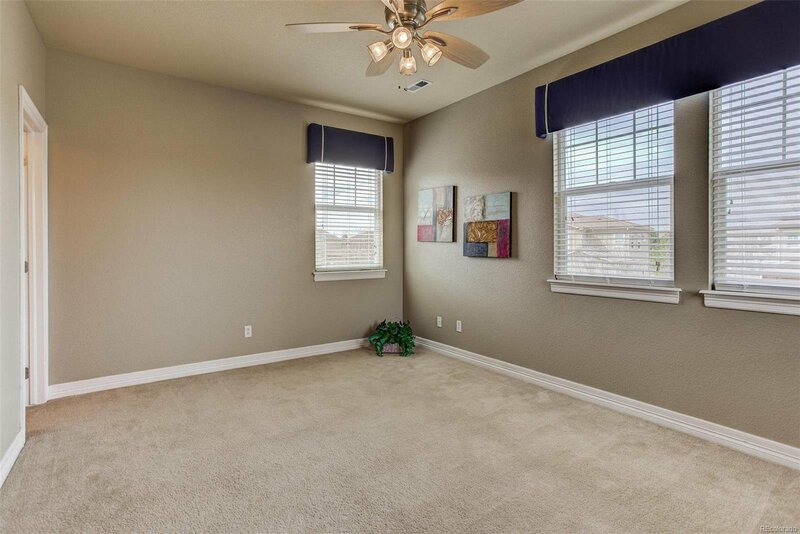 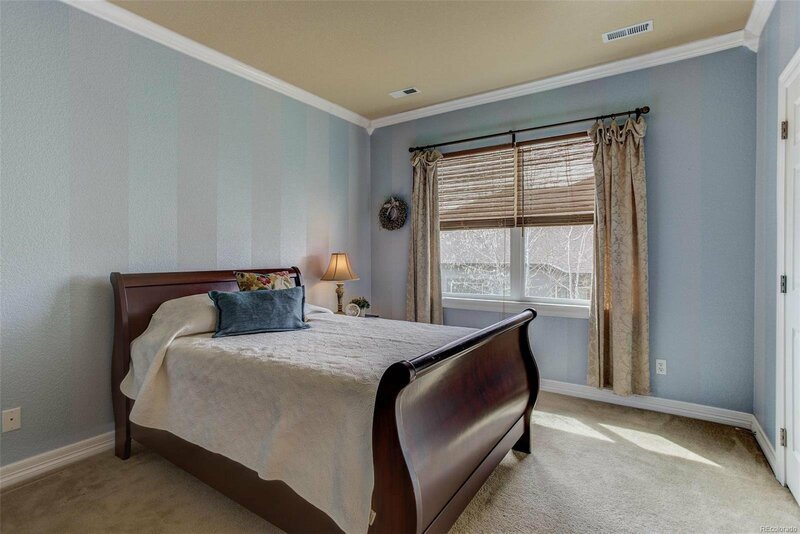 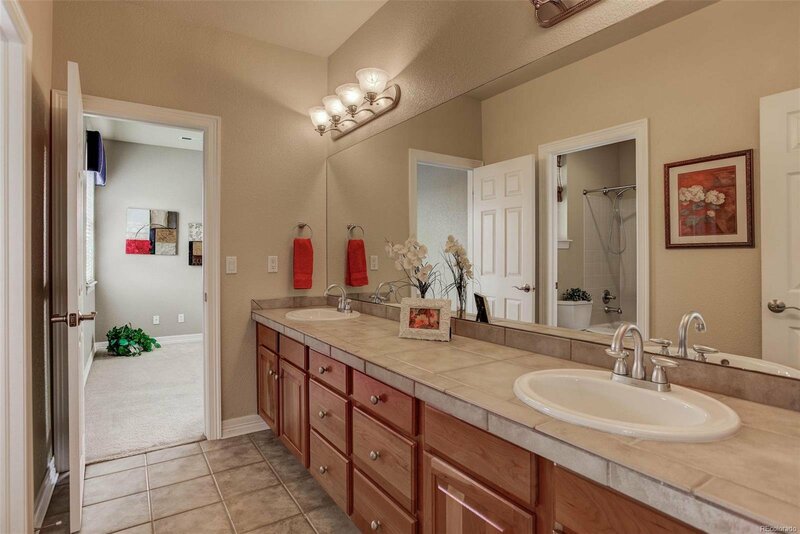 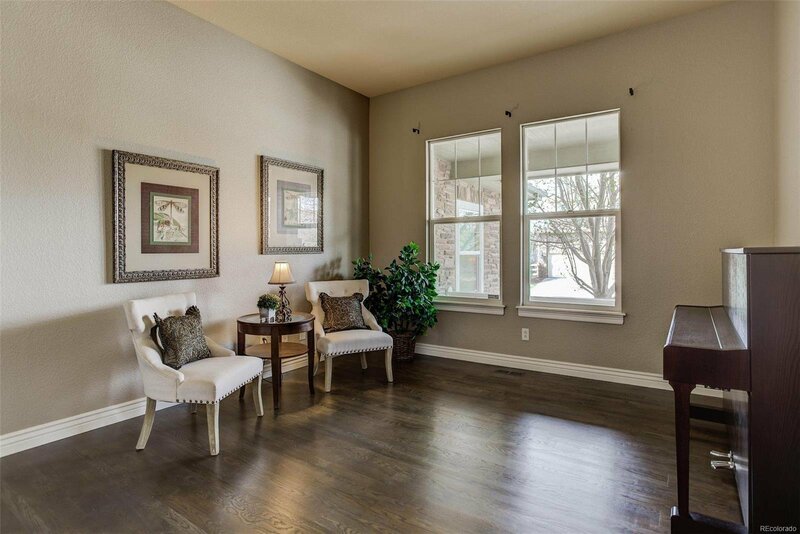 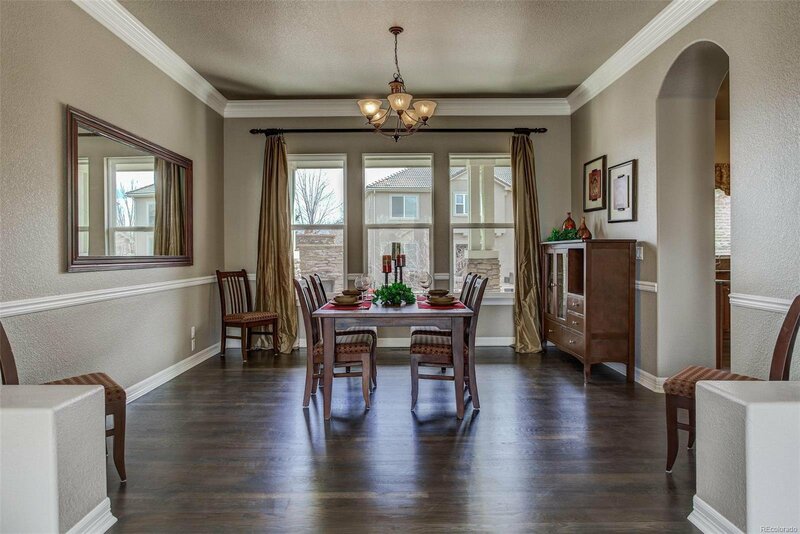 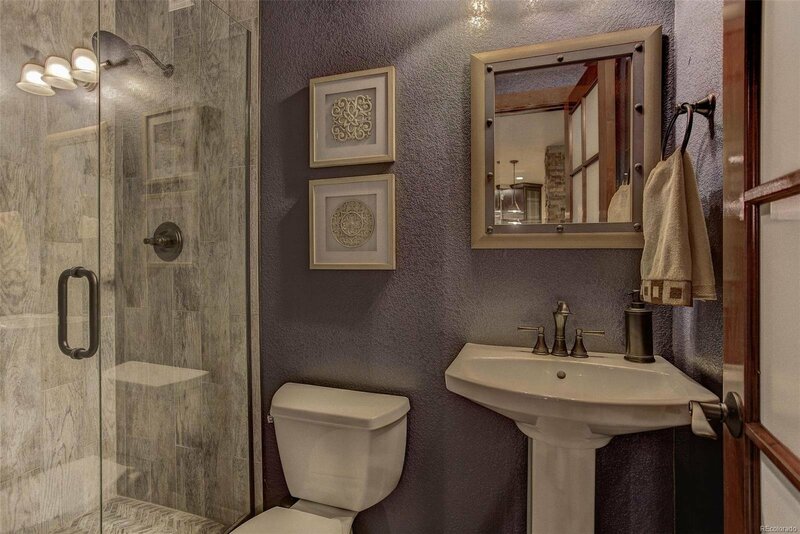 Lovely formal spaces, office w/French doors & mud room w/built in’s by laundry. 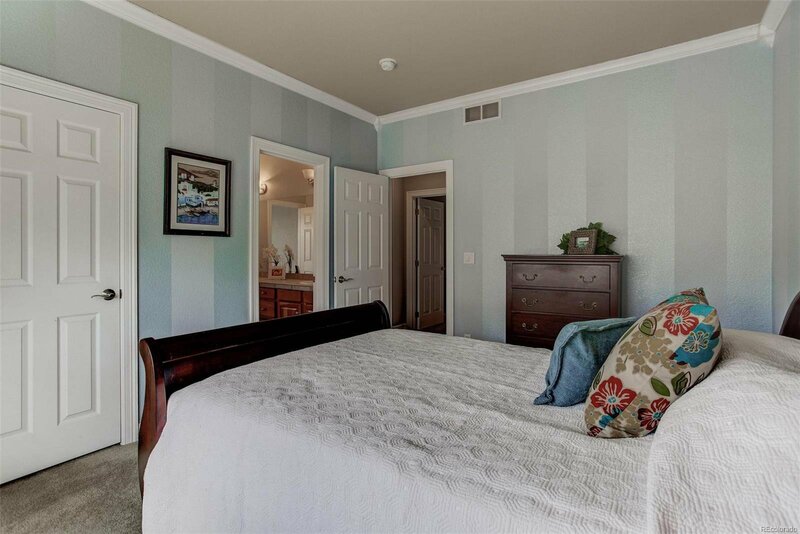 Two staircases access the split bedroom arrangement. 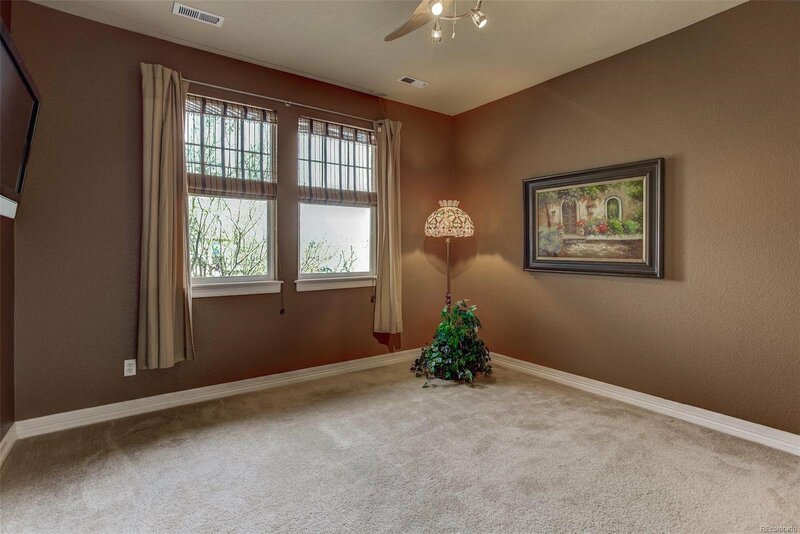 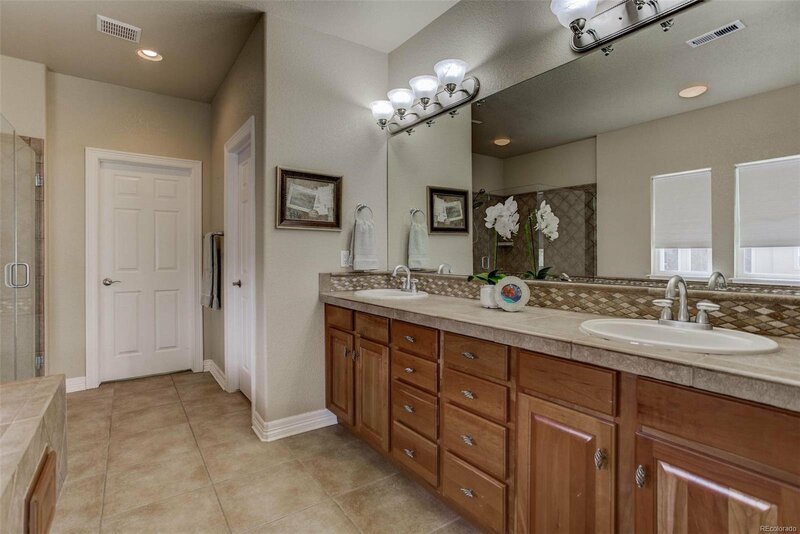 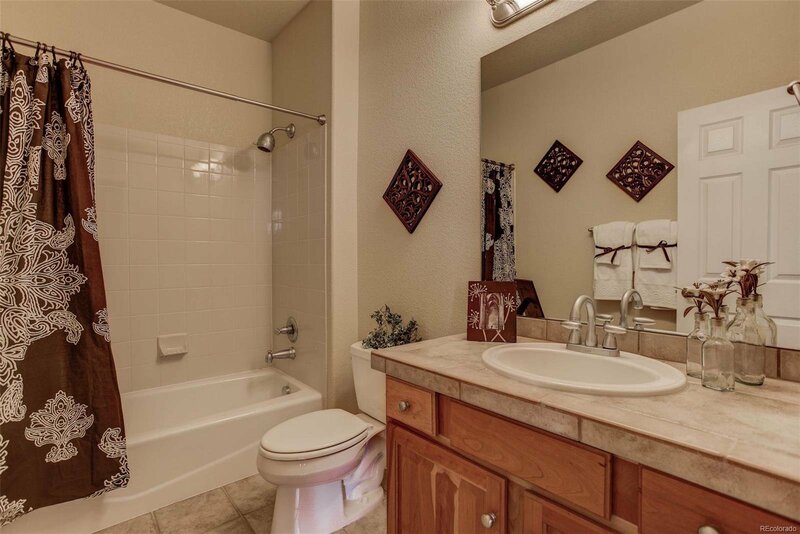 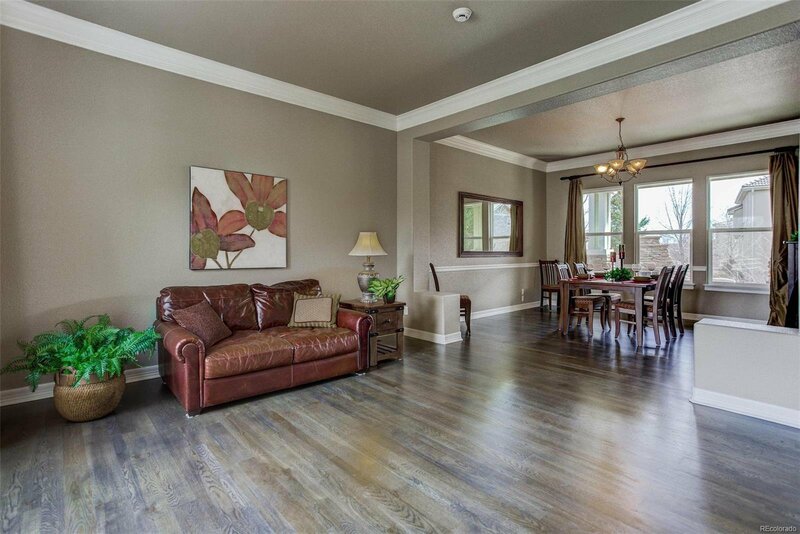 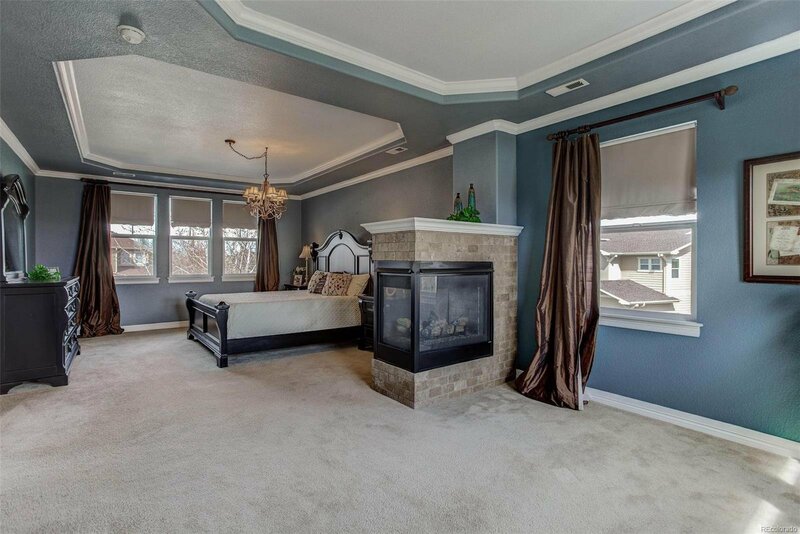 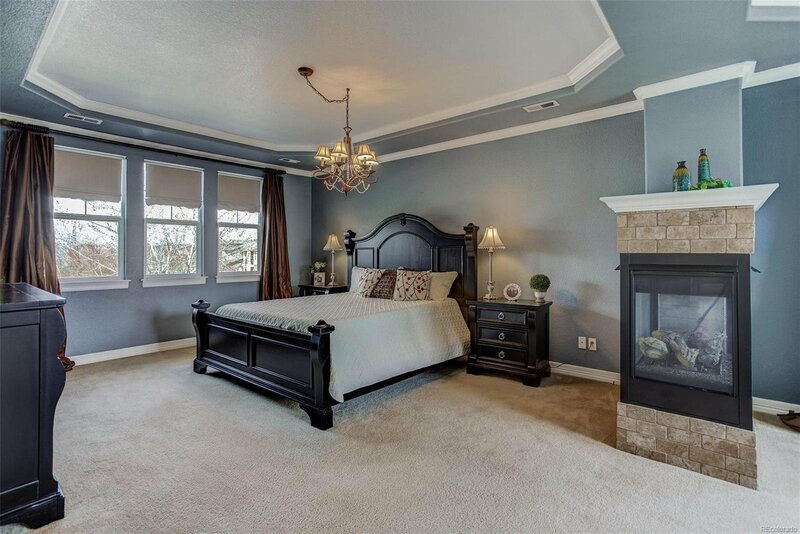 Spacious master w/sitting area, fireplace, 5-piece bath & walk-in closet. 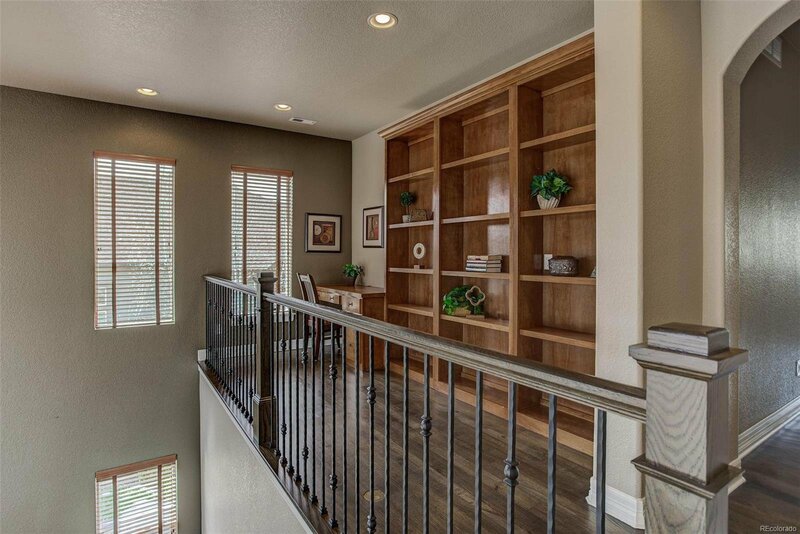 2nd staircase option leads to library/3 bedroom wing. 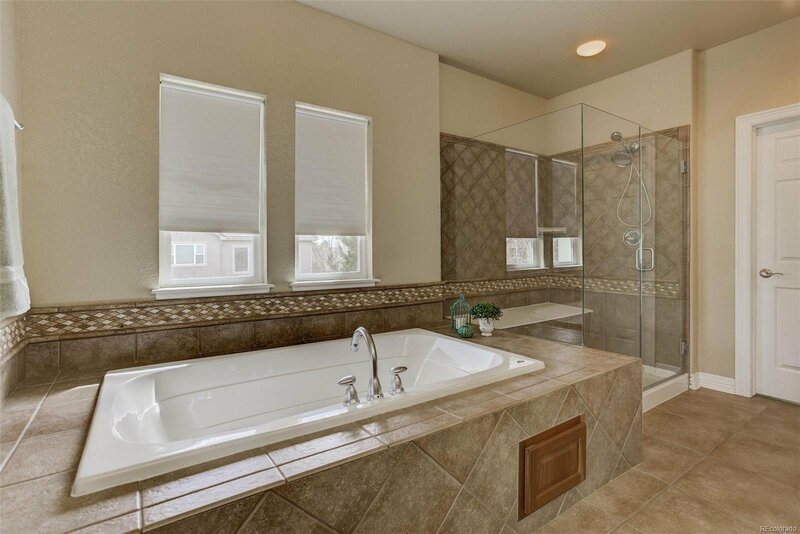 Jack n Jill bath connects two bedrooms plus a guest bedroom w/en-suite bath. 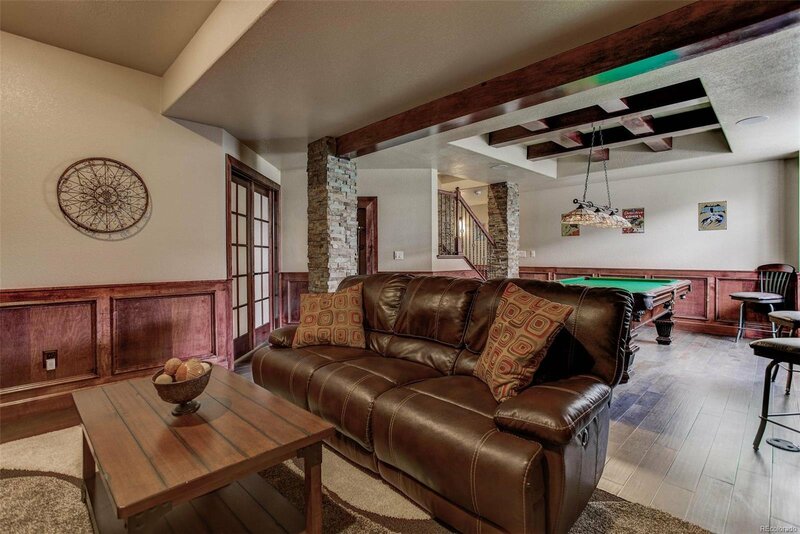 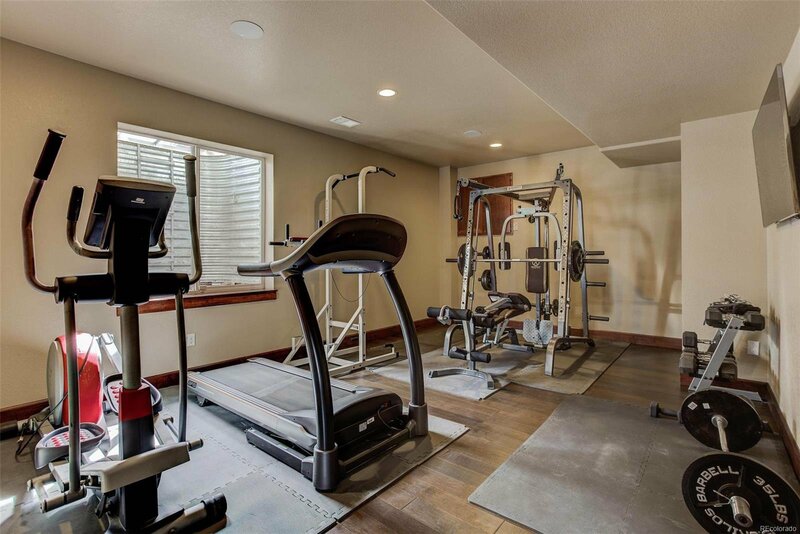 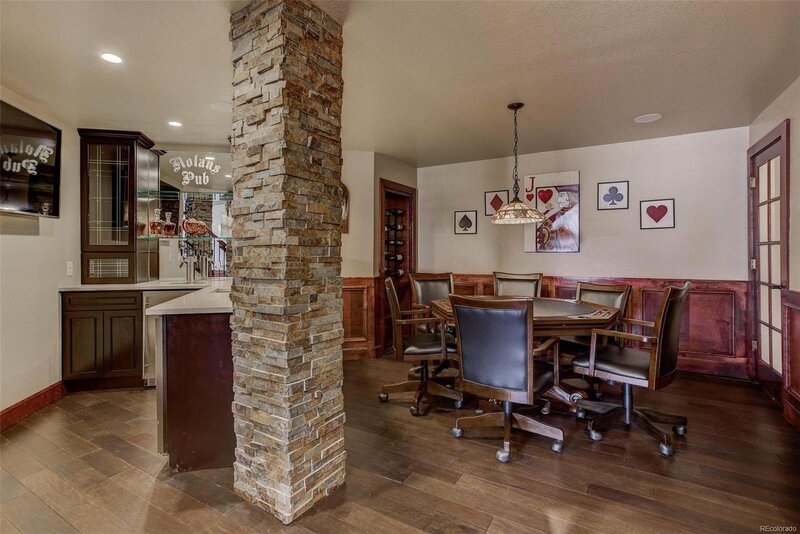 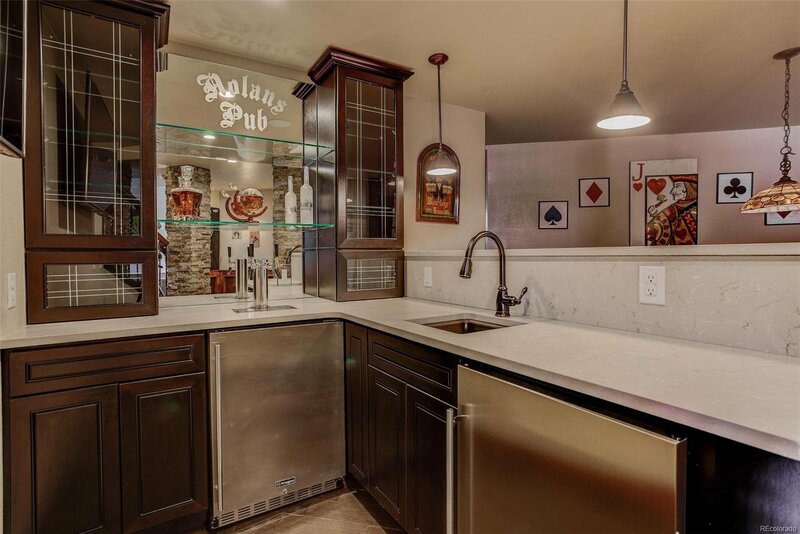 New custom basement is stunning with handcrafted woodwork, dry stack rock & wet bar w/kegerator. 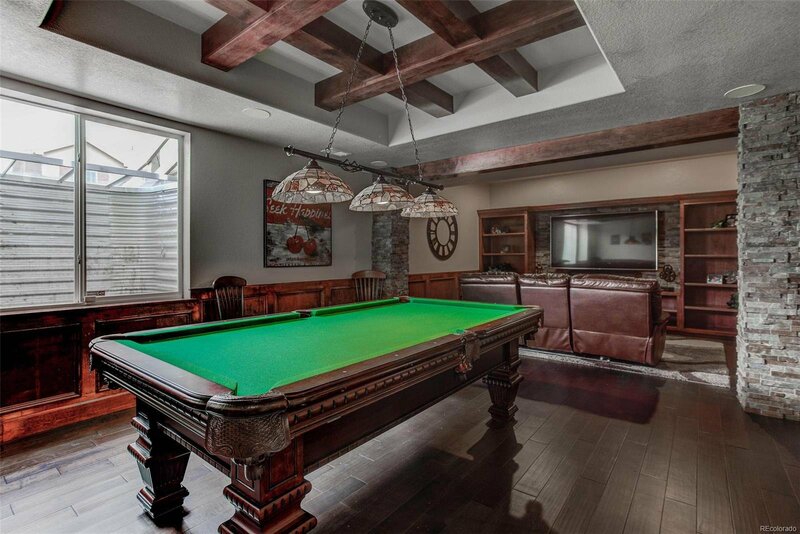 Play pool, card games or enjoy a movie. 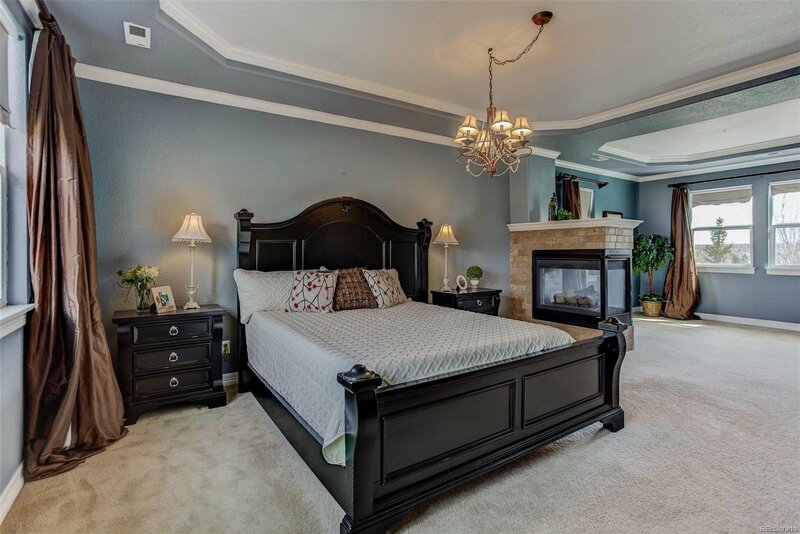 5th bedroom, ¾ bath complete this level. 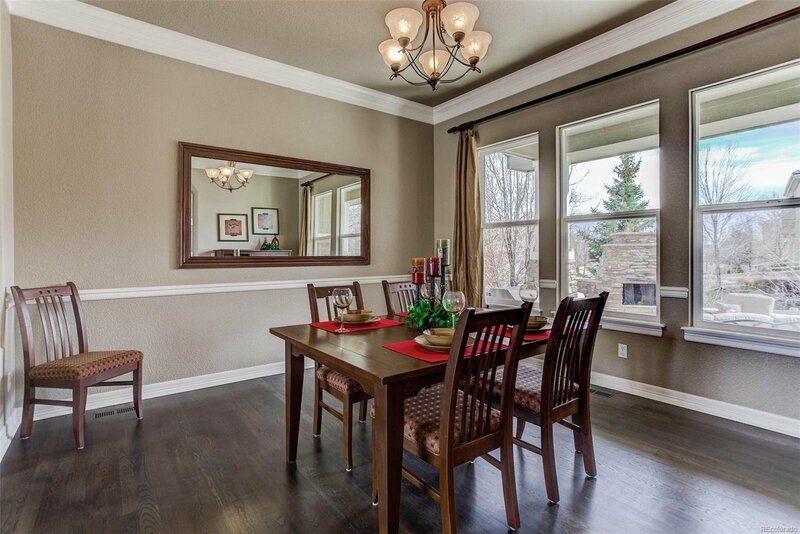 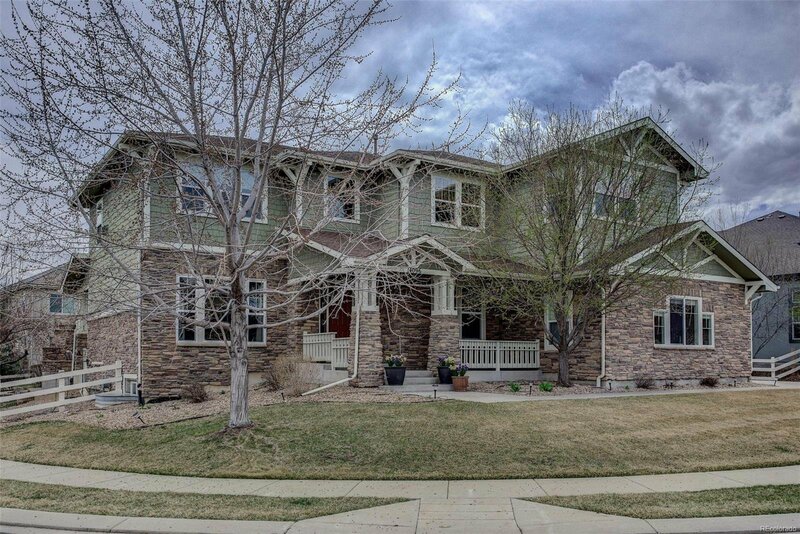 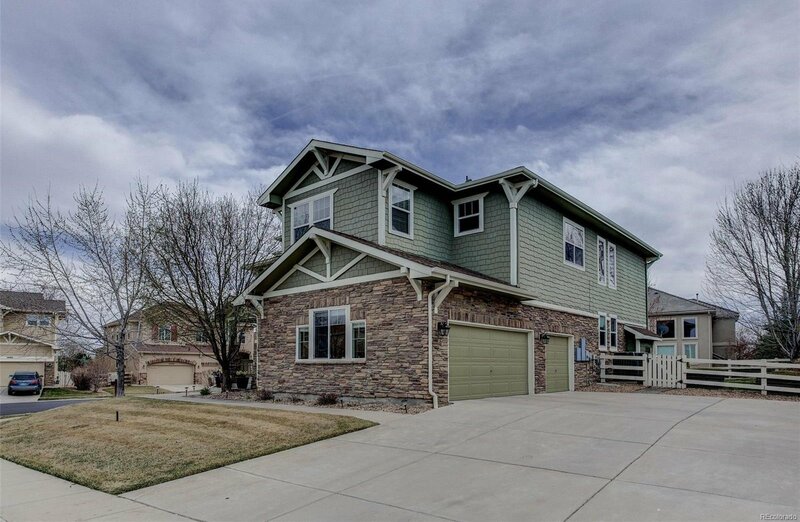 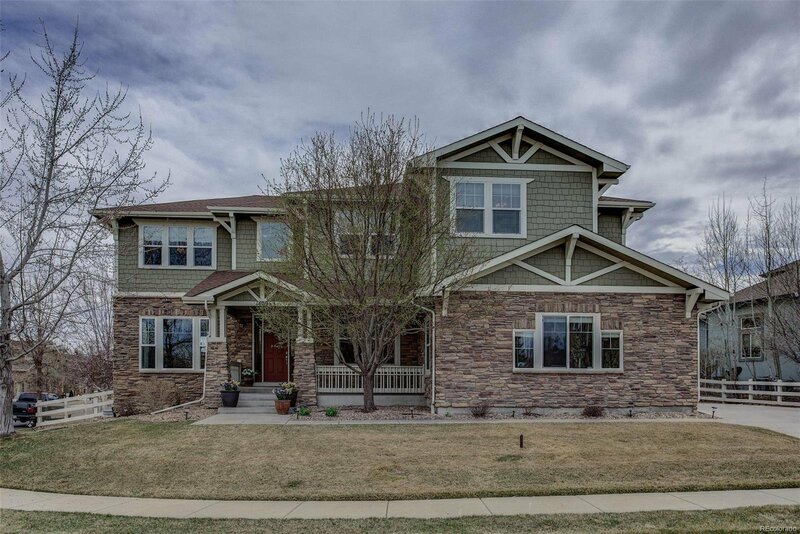 Highly rated Adams 12- 5 Star School district, easy access to I25, Longmont, Boulder & amenities.